Head east on Border Road and a few miles past Jacaranda, you’ll see Sleeping Turtles Preserve. 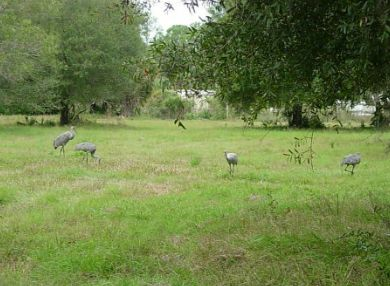 The 174-acre preserve has a network of trails that take you through floodplain swamps, pine flatwoods and upland mixed forests. It's tranquil, beautiful and solitary this time of the year. Bird watchers love the trails, especially for the variety of songbirds. 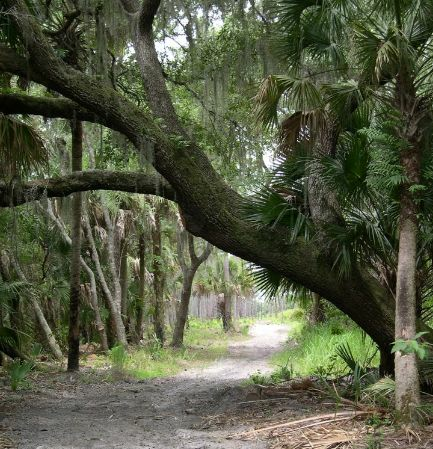 You may also spot gopher tortoises, swallow-tailed kites, and on the Myakka River trail, sunning alligators. Border Road splits the preserves; leashed dogs are welcome on the northern section (on the left if you’re heading east), but not the southern leg. Drive a little further east where Border Road ends at a T, take a left and you’ll land in the 24,000-acre Carlton Reserve. You can hike, bike or ride horses along 80 miles of trails. Now is a good time to go before it gets too hot and construction on two nearby Neal Communities developments on Border Road kick into high gear.